X-tra value = the Tandem-X two Rocket Launch Set. The Amazon is huge yet it’s from our E2X Series! The Crossfire ISX soars to 1150 feet and both launch on standard Estes engines! The E2X Amazon is as imposing as the name sounds. This giant stands almost 30 inches tall and is quick and easy to build! A black body tube, precolored plastic nose cone and fins and a tiger striped self-stick decals make building this rocket easy to do in about an hour. When flown on our standard engines, this huge rocket can reach heights over 650 feet. Great Value to get started. Bought this set to get back into model rockets and introduce it to my 4 year old son. Could not have picked a better Launch Set. Amazon – Found it perfect for my son. Even at 4, he was able to help with construction. I would show him how and where things go, then place the glue myself, and have him install the part. This rocket is perfect for him when paired with a B4-2 as it doesn’t go very high. Combined with it’s size and black color, was incredibly easy for him to track throughout flight and he loves every part of it. Crossfire – Stepping into level 1 helped me build some confidence before jumping into more expensive rockets. Nice and small, and again paired with an A8-3, doesn’t go very high and is easy to keep an eye on use in small fields. I will recommend upping the number of suggested recovery wadding as using the 4 squares on a B4-4 engine led to a slightly melted parachute that needs to be replaced. Perfect Kit overall and I am already working on Skill Level 2 Rockets for our next launch day. My last rocket launch was probably 33 years ago and I had forgotten about them. While shopping for art supplies I saw this kit and bought it on a whim to introduce my sons (7 and 12) to rocketry, and wow! am I hooked again! Never mind the kids! The set is great for beginners and the price is right. The Amazon was a very easy and fast build, while the Crossfire is a bit more difficult and both fly impressively. The Amazon is huge and easy to spot at altitude even with C engines (I like C6-7), but be careful with C engines in the Crossfire because it is goes much higher than the Amazon. The two rockets are great and the launch controller works fine. This really saves you money if you would buy them separately. Building the Amazon is quick and easy. It is best to do it first and fly it. It is easy to pack and install engines. The Crossfire takes some more work to build and is a little harder to pack due to the small tube. As others have stated, be sure to only use a C class engine if you know you have plenty of space for recovery and then only on a windless day. I would just stick with B engines and also cut a hole in the parachute for added chance of recovery. I bought this as a summer project to do with my kids. 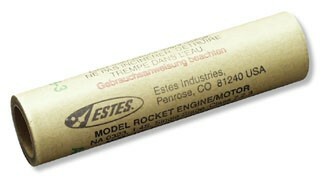 This was the first time building model rockets, and this was a good introduction. The Amazon was simple to put together, and worked as described. The directions were simple to follow. The launcher works great, but we had a few problems at the start. One problem was the battery–even though we had purchased new batteries, the 9v we initially used didn’t work. The light on the launcher worked, but we didn’t get any ignition. After buying another, “fresher” battery, no problems. I watched a couple of videos online while trying to diagnose the launch problem, and found a couple helpful hints that seem important but weren’t in the directions from Estes. Most importantly, be sure the ignition wires are wrapped around the base of the launcher. Once we figured out the launch problems, the kids had a (pun intended) blast. They loved setting it up and watching it go. The Crossfire was also easy to put together, but took more time. We had a great job painting it, and it looked great. My son, in particular, fell in love with it. After trying out the rocket on A8-3 engines, we put a C6-5 engine in. That was the last we saw of it! Even though we were in a large farm field on a calm day, the breeze higher up took the parachute and the rocket floated away. It went HIGH. Nowhere in the directions did it say to cut a hole in the parachute, but that would probably be a good idea. My son was so upset about losing it, he cried himself to sleep. He even said he doesn’t want to build another rocket–he is afraid of losing another one! In all, a good set, and a good introduction to rocketry. Putting in some helpful hints–about how to avoid losing high-flying rockets, and about how to troubleshoot launches–would make it perfect for beginners like us. We’ll see if I can convince my son to build another! I got this set as a birthday gift last year for my 13th b-day, just as I was getting to the hobby. Built Amazon and launched it with a few friends at my party. Fun to build!!! I added a cheap, small 12gm camera to get a first person POV, so the rocket veered sideways due to weight, AND it started to rain. To top it off the parachute did not deploy (Probably because I was just getting in to the hobby and rushed due to excitement (: !!!) The rocket came crashing in to the ground into the soft,wet dirt AND it still survived!!! In a few pieces, but other than that it was fine!! It was all great fun, even with a not so perfect launch, and the camera on board caught it all!!!! I plan on building and launching Crossfire with a little more care, 😉 ,this year at the same place. Would buy this set again! Great for starting with the hobby!!! Awesome !!! I bought this as a first kit for my grandson and myself. The small one flew 4times before we lost it. We used a c6-7 and it went so high that when the shoot opened it caught a thermal and we never saw it again. The amazon was a blast too. We used the same c6-7 motors and got 4 good flights but the last one the recovery cord came apart and we never saw that one again either. It was so much fun for the money. We will continue to do it again and again. I e-mailed customer service and got a detailed reply the following day which troubleshot my issue and provided with with reasoning for it. I was an oversight on my part. Spend a little extra money on a quality alkaline battery for the launch controller. The rep even offered to send me some extra starters since I went through a couple trying to use my “heavy duty” 9v. I bought this set to get the complete setup. it will get to flying, plus you get two rockets with it and these both good looking and fly great. gets you started building rockets also.